Want all the benefits of an off-airport car park but with the transfer time of an on-airport car park? Look no further than Edinburgh NCP Scotpark. Situated less than one mile from the terminal building, this award-winning Edinburgh airport car park offers great prices on long term holiday parking and as well as quick, reliable transfers which run to the terminal at least every five minutes. Edinburgh airport parking couldn't be easier, pre-book today and save with Holiday Extras. Less than a mile from the terminal, this award-winning car park will keep your car secured and get you to the airport in under five minutes. It has all the convenience of a car park on the airport without the high price tag. NCP have over 80 years' experience and hundreds of car parks nationwide. They know the importance of great security, location and price - all three of which are combined in this low cost parking package. Your car will be secured by perimeter fencing, cctv, lighting and regular patrols - the car park is manned 24 hours a day. Scot Park holds the Park Mark award for safer parking, which means you are parking in an area that has been vetted by the police and meets their security standards. Park your car, keep your keys and off you go. There's no fuss here, you take a ticket from the barrier on your way in, park in any space and hop on the bus to the terminal. When you're back: drive to the exit, present your entry ticket and booking reference at the exit desk and you'll be on the way home in no time. Make a note of the zone you park in. Coming back from your holiday is going to be hard enough, searching for your car will be the last thing you want to do. The transfer coaches are partially accessible - not ideal if you need wheelchair access. Give us a call on 0800 083 7430 and we'll find the perfect car park for you. Make sure you park in the correct car park. If you don't, you may have to pay a non-refundable charge when you leave. Once you've parked, make a note of the zone you're parked in so you can find your car quickly after your holiday. You get to keep your keys, so head straight to the bus stop to catch the transfer to the terminal. Transfers take 3-5 minutes, run every 10 minutes and are included in the price. You'll be dropped off at the designated bus stop area so don't worry about having to navigate through the airport traffic. Follow the signs for departures - it's just a short stroll. When you get back, make your way to the bus stop area and catch the transfer back to the car park. Then head back to the customer service office with your booking reference number, and you're ready to go home. Staff very helpful. Unfortunately, NPR did not work on arrival at park and was given ticket by machine. In exit after stay had to ask the staff to resolve against my booking to allow me to exit and not pay £60 extra. NPR also did not work on exit. Not what I needed after 20hrs traveling. Parking bays very narrow and my car is not big. 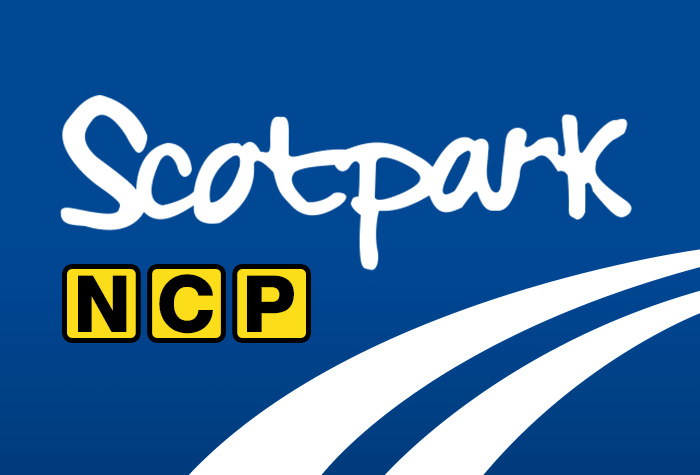 Our customers rated Edinburgh NCP Scotpark on average 9/10 (881 reviews). Read Edinburgh NCP Scotpark reviews.